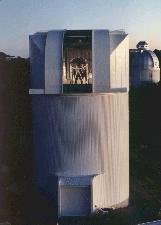 The 90" (2.3 m) Bok Telescope on Kitt Peak is the largest telescope operated solely by Steward Observatory. The telescope was dedicated on June 23, 1969 (see Sky & Telescope 34, 79  and 38, 164 ) and on April 28, 1996 was officially named in honor of Prof. Bart Bok, director of Steward Observatory 1966-1969. The telescope operates every night of the year except Christmas Eve and a maintenance period scheduled during the summer rainy season. The Bok Telescope is available for use by astronomers from the University of Arizona, Arizona State University, and Northern Arizona University. The Bok Telescope offers a choice of two Cassegrain focal stations: an f/9 Ritchey-Chretien focus for visible-wavelength observations and an f/45 focus for infrared observations. Both stations support a wide variety of facility and private-investigator (PI) instrumentation including a prime focus imaging system, 90Prime, with a field of view of over one degree is available for use. 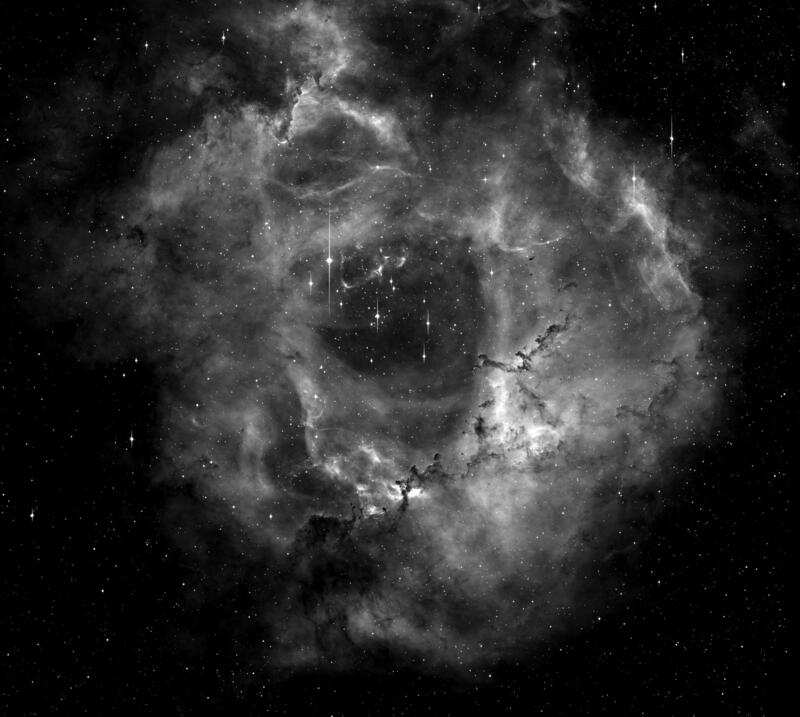 The Rosette Nebula (NGC 2238) using the 90Prime CCD mosaic imager (image taken by R. Cool). 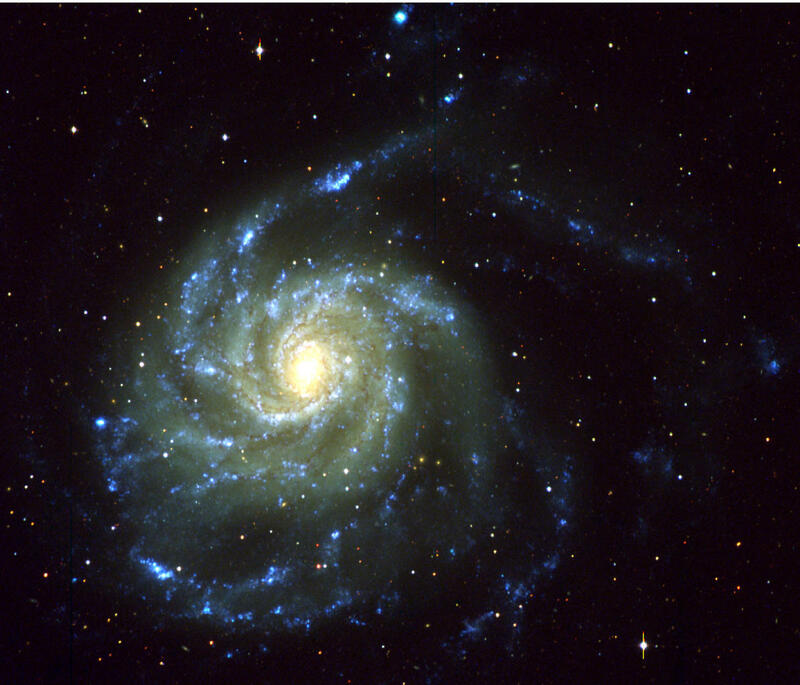 M101 (NGC 5457) obtained with the 90Prime imager (three-color image taken by C. Engelbracht). These pages were originally constructed and maintained by Gary Schmidt, and are now maintained by Paul Smith (psmith@as.arizona.edu).